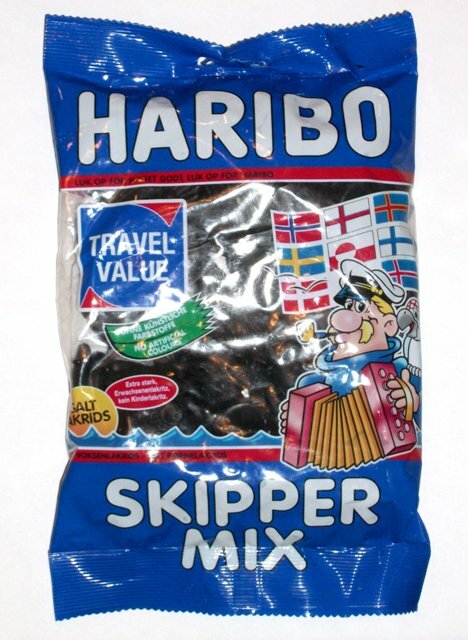 Haribo Skipper Mix is a very salty blend of many different delightful shapes. There are sea creatures, boats, little houses, bears and ridged cylinders, among others. If you love salty black licorice you will love these!